Week 3 is over! Sigh of relief. It's bad I feel that way already some days. Although I feel stuck some days, I did have a lot of fun this past week. I have a big list of great ideas, but I can't do them all at once. That would drain my idea bank too fast, and I'd be more broke. Besides, I have to wait for summer to do some of them. 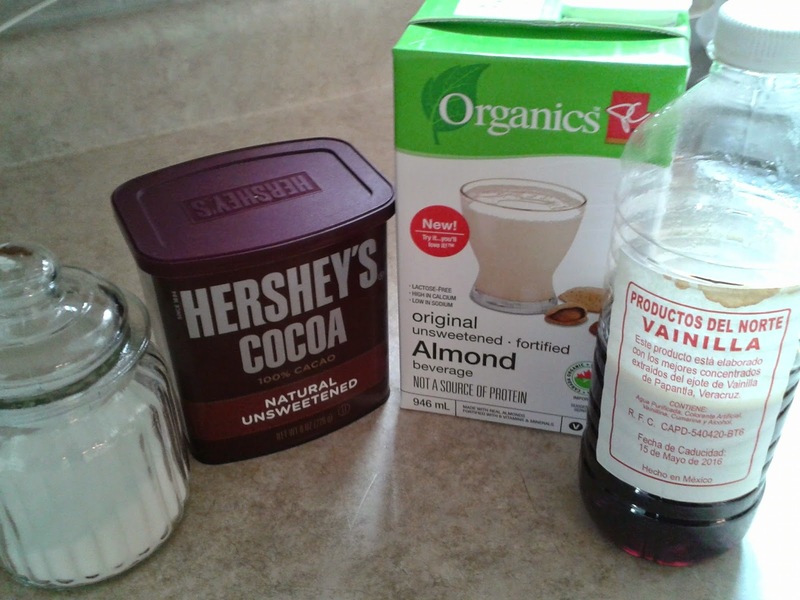 January 15: I tried making dairy-free hot cocoa. Because I'm somewhat lactose-intolerant, I often take lactase tablets if I drink regular hot chocolate, unless it's diluted with coffee. Even if it's mixed with just water, the mix has milk ingredients in it. So I tried making stovetop cocoa using almond milk. 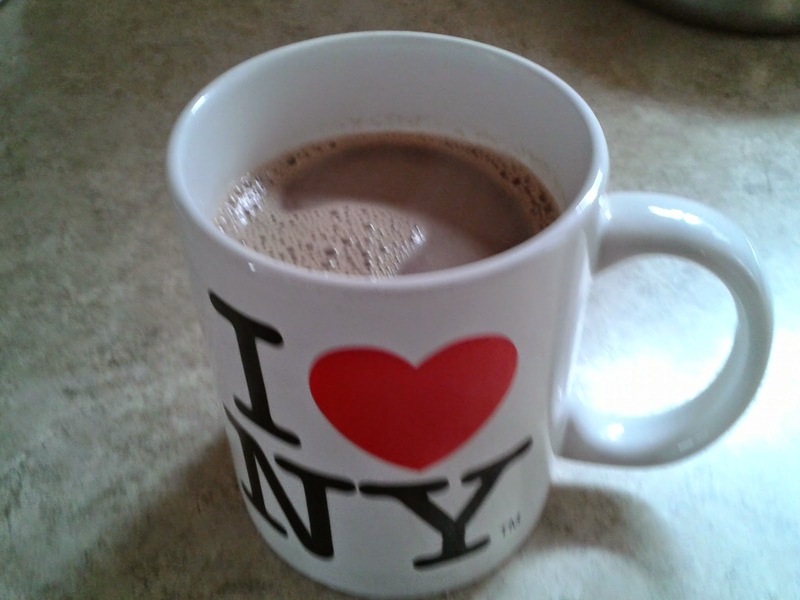 I have made chocolate milk with it before, which was pretty good, but hadn't tried cooking it. It had a quite a distinct almond taste to it, so if you don't mind that it's a good alternative. I curled up with a blanket, my mug of cocoa, and watched an adaptation of Great Expectations. I also tried pomegranate juice. I've had a pomegranate before, but I find they're a lot of work to eat, and I don't like the bitter white seeds. But drinking the juice straight is also really strong. You would think it's a very healthy juice, but I was disappointed that it didn't even contain any Vitamin C.
January 16: On Friday I went on a shopping escapade. 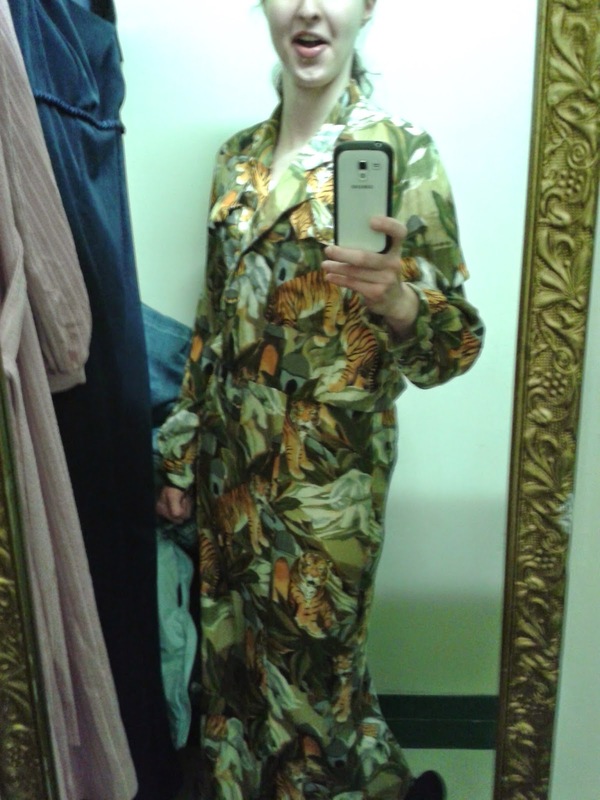 I had a couple potential ideas swirling in my mind, but I definitely settled on one when I looked at the dress section in the first thrift store I walked into. 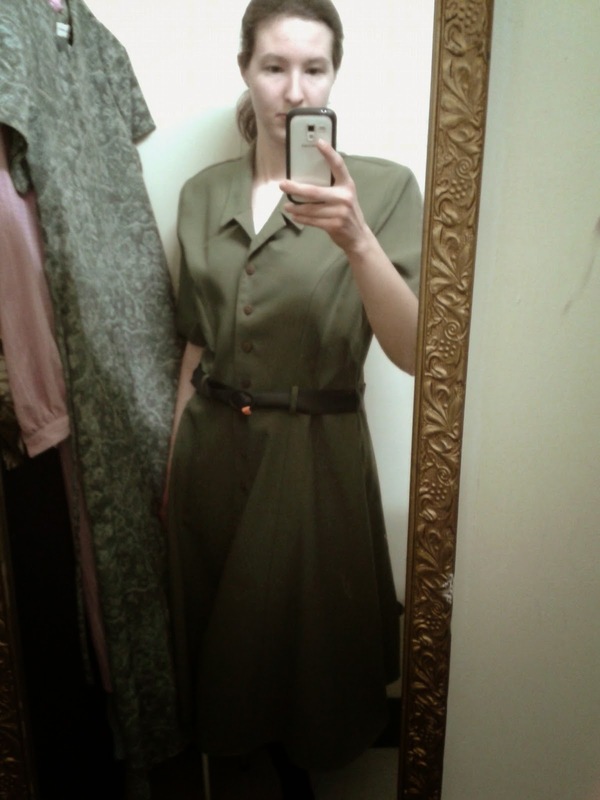 One of the items on my list was to try on granny dresses in a thrift store, and this place had some great finds! 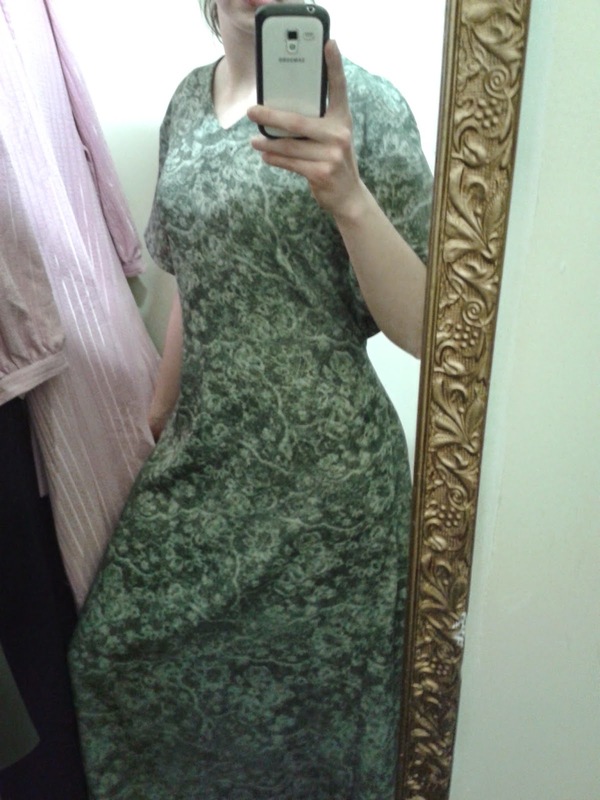 Sadly they were all a little too big, and the three other dresses I tried on that I would have bought all didn't fit quite right. I wish I had had a hat and pair of binoculars. Safari! 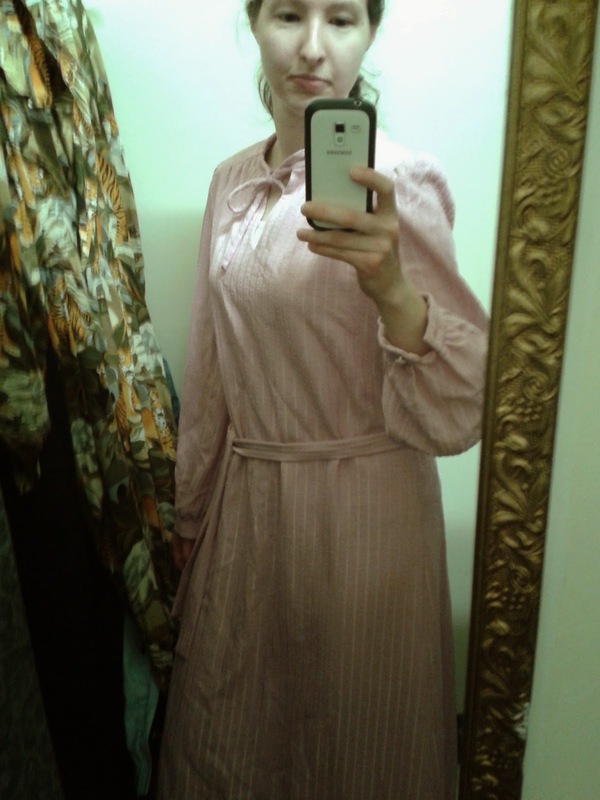 This one is rather nightgown-ish. This one might have looked alright if it wasn't so big. And I'm sure this one was real classy in its day. I didn't buy any dresses, but I walked out with two pairs of jeans for $4.50! I also took the opportunity to stop in and see The Grace Cafe. As I was leaving town, I tried to ignore a man standing at an intersection with a sign. But I couldn't. I turned around and went back. January 17: I had too much fun! I tried to deepen my voice by sucking the gas out of an empty whipped cream can. I think the idea is that it has the opposite effect of helium. I got it for a couple seconds, but it doesn't last long. This is an afternote. I actually don't recommend anyone trying this. I did later on, but experienced dizziness and a headache. This can't be wise. January 18: Remember those dutch candies I mentioned last week? Well, I tried one. And this is what they do to you afterward. 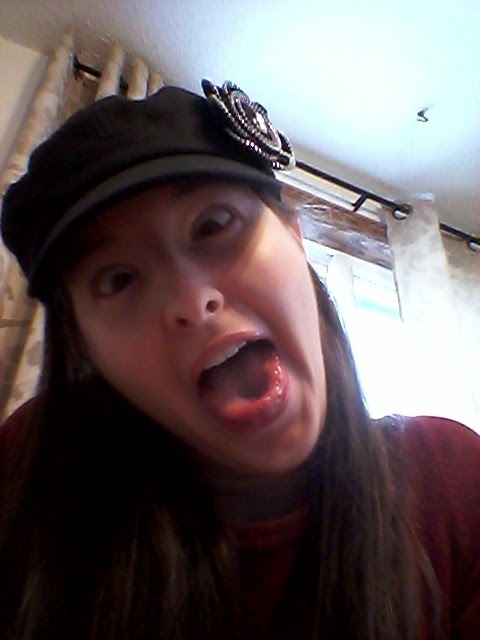 Naw, that's actually just me being crazy and wanting a cross-eyed picture of myself. I also started reading God's Gift to Women by Eric Ludy. Although written for men, I realized quickly my need for this book right now. Although I have been happier and freer in the last month and a half than I have been in a long time, my relationship with God has suffered, as I have filled my life with distractions and noise. As a Ludy book always does, this book points back to my relationship with Christ, and I've been realizing how much I need to refocus my life. January 19: I made some improvements in my swim class. I got to use them giant flipper things to swim. I worked on my side swim, and then my back. I was pretty proud of myself when I figured out I could make it across the width of the pool on my back with flippers. I had this moment where I was suddenly like "I feel like an otter!" I was even prouder of myself when I made it over half the width of the pool without the flippers. It felt great. January 20: We recently got a new coffee/drink machine at work, which makes Coffee Crisp Cappuccino. I tried one and it was like awesomeness in a cup! I just can't have sweet drinks like this often. I also went to a store for a glucosamine supplement, and was also introduced to collagen. I asked "What's collagen?" It's like the glue that holds us together. We lose it as we get older and that's why we get wrinkles. That's about as much as I learned about it then. January 21: I tried curling my hair with my straightening iron. TRIED being the key word. Because I have natural curls that frizz like crazy, I had to straighten it first. Then I tried curling it. I had next to no clue what I was doing, so I found a Youtube tutorial. I watched it, tried, watched it again, tried. I succeeded in getting a couple decent looking curls, but couldn't get the hang of the technique and there was no way I was going to spend my whole morning trying to do all my hair. Just not worth it. I lose a lot of hair when I straighten it, and I wanted to have a presentable amount left when I was done. And I knew the longer I tried, chances were I'd be accumulating burns on my fingers, ears, forehead, etc. I don't look like a diva, and people who know me know I'm next to clueless when it comes to fashion, hair, and makeup, but especially makeup. That's one of the reasons I don't wear it. But I also just don't have patience for spending a lot of time beautifying myself. So the morning did not result in a new awesome hairstyle. I'll stick to taming my natural curl with cremes and mousse. That's a lot easier. Now I need to figure out what I all want to do in the next week. Hmm. Labels: craziness, food, shopping, videos, What Did I Do? I don't have patience for beautifying myself either. :P I've been trying a bunch of different things and sometimes I wonder if I am doing more harm than good. :P But so far my sisters have been complimenting my work, so it must be ok. The makeup part is such a pain, I've been trying to experiment with it. I am happy with a little bit of touch up though. I hate looking "made up". So far I think I have avoided that.